You are here: Home / Pets / Unchewable Dog Bed For Your Dog! 12 Best Dog Beds! A comfortable and nice looking bed is great for your dogs, but not if they manage to destroy them within hours after purchase! If your dogs like to chew on their beds then our list of the best unchewable dog bed might be of help. 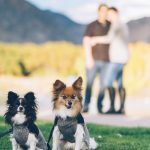 What Kind Of Bed Should I Get For My Dog? It all depends on the size, age, and character of your dog. If your dog is large then, of course, it will need a larger bed than a smaller dog would need. Does your dog like to chew on things? Then you will benefit from an unchewable dog bed as your dog cannot destroy these types of beds. If your dog is a little older then it might need an orthopedic dog bed or an elevated dog. These types of beds will give your dogs relief and comfort. First up we will discuss the best unchewable dog beds. Then we will discuss the best orthopedic dog bed with bolster and the best elevated dog beds. 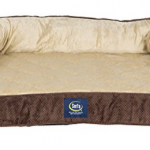 The first hint on our list is the Chew Resistant Waterproof Bed. The Chew Resistant Waterproof Bed is available in three different sizes. There are also three colors available. The Chew Resistant Waterproof Bed is chew proof as well as waterproof. The company behind the product even guarantees this and will replace the cover one time, if your dogs did manage to destroy the bed. Do not throw your receipt away, as proof of purchase is needed if you want to use this option. The dog bed can be washed in a machine. The dimensions of the product are: 4 x 27 x 36 inches. The weight of the item is: 11.2 pounds. The second hint on our list is the Chewproof Walnut Dog Bed. 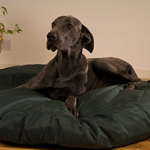 The Chewproof Walnut Dog Bed is available in four different sizes and 4 different colors. The dog bed is meant for indoor use. The Chewproof Walnut Dog Bed has a PVC frame, which supports up to 125 pounds. If you have a heavier dog then read hint number six on our list. The design of the dog bed is an above ground bed, which is good for orthopedic reasons. The fabric is abrasion resistant. The dog bed is easy to clean and comes with a one year warranty. The dimensions of the product are: 40 x 25 x 7 inches. The weight of the item is: 8 pounds. The third hint on our list is the Round Tuff Dog Bed. 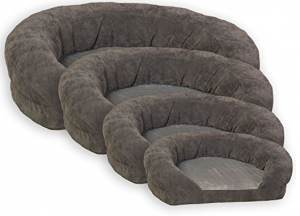 The Round Tuff Dog Bed is available in four different sizes. There are also ten different colors available. 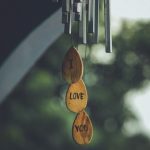 Therefore, you have plenty of options to choose from. 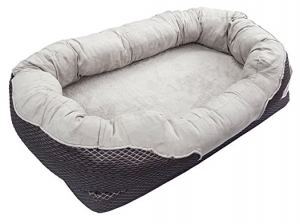 The Round Tuff Dog Bed has a chew proof rating of 4 out of 5. The bed is meant for light or moderate dog chewers and will resist approximately 90% of chewing dogs. If you have a heavy dog or a dog that chews a lot, then read hint number 4 on our list. The company behind the dog bed gives out a guarantee of 90 days. If within that time frame your dogs manage to destroy their bed, then the company will replace the cover once, free of charge. The dog bed is easy to clean and can be washed in a machine. In addition, the cover is made from ripstop ballistic fabric. 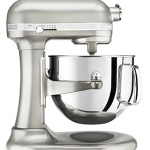 The dimensions of the product are: 42 inches. The fourth hint on our list is the Durable Chew Resistant Raised Dog Bed. 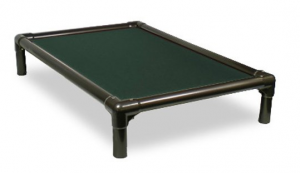 The Durable Chew Resistant Raised Dog Bed is great for heavy dogs or hard dog chewers. The dog bed comes in five different sizes and seven different colors. The bed has a chew proof rating of 5 out of 5. In addition, the bed is capable of resisting approximately 99% of dog chewers, which makes it practically an indestructible bed. The Durable Chew Resistant Raised Dog Bed is similar to the Round Tuff Dog Bed as it is easy to clean and is made from ripstop ballistic nylon. In addition, you can use this as an indoor or outdoor bed. However, instead of a 90 days guarantee, this dog bed has a guarantee for the first 120 days. The fifth hint on our list is the Bed Bubble Bolster with Chew Guard Technology. 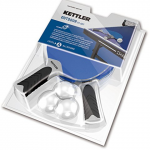 The Bed Bubble Bolster with Chew Guard Technology is available in five different sizes. 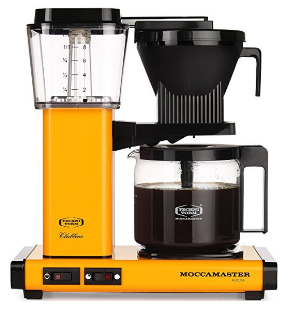 There are four different colors available as well. The dog bed is made from a soft plush and can be washed in a machine. The Bed Bubble Bolster with Chew Guard Technology has a 30 day guarantee. If within the first 30 days your dogs manage to destroy the bed then it will be replaced once for free. 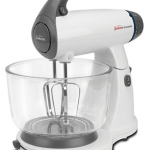 The dimensions of the product are: 35 x 23 x 3.5 inches. The weight of the item is: 2 pounds. 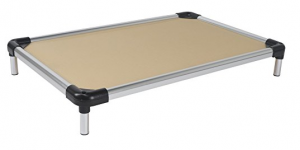 The sixth hint on our list is the All Aluminum Chewproof Dog Bed. The Chewproof Dog Bed is available in five different sizes and four different colors. The dog bed can be used indoors or outdoors. The All Aluminum Chewproof Dog Bed is great for heavy dogs as it supports up to 250 pounds. 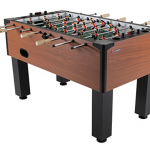 In addition, the fabric is made from solid vinyl and therefore is very durable. 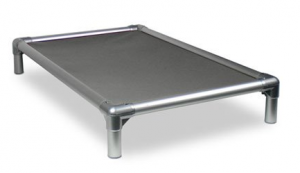 Similar to the Chewproof Walnut Dog Bed, the All Aluminum Chewproof Dog Bed is easy to clean. There also is a one year warranty and the dog bed is a great orthopedic choice. The dimensions of the product are: 50 x 36 x 7 inches. The weight of the item is: 14.6 pounds. The seventh and final hint on our list of the best unchewable dog bed is the Tough Dog Bed. The Tough Dog Bed has two sizes available. There are also two different colors available. The dog bed can be used indoors or outdoors. 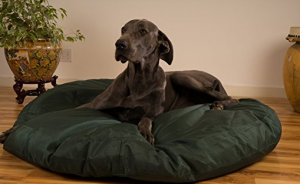 The Tough Dog Bed is stain resistant, odor resistant and water resistant. 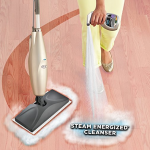 In addition it is easy to clean. The cushion provides comfort. The dimensions of the product are: 28 x 20 x 3.5 inches. The weight of the item is: 5.4 pounds. The quest to find an unchewable dog bed, is hopefully finally over after you have read our list in finding the best unchewable dog bed. Now it is up to you to decide which unchewable dog bed is the perfect match for your dog. What is an orthopedic dog bed? 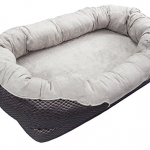 An orthopedic dog bed usually means that the bed uses orthopedic foam. Orthopedic foam is great for dogs as it provides optimal balance, reduced joint pain and improved mobility. In this article, we will discuss the best orthopedic dog beds with bolsters. 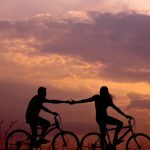 What are bolsters good for? The bolster of the doggy bed provides extra comfort to your dogs. A dog can rest up against the bolster or even rest his or her head on top of the bolster. The Large Orthopedic Dog Bed with Bolster from BarksBar is available in two sizes. Large and medium. The bed can hold up to 100+ lbs. Therefore, the bed is ideal for small, medium and large dogs. The bed is fitted for pets up to 36 inches in length. The high quality orthopedic foam provides joint relief for your dog. In addition, the large dog bed is machine washable and therefore easy to clean. The bolster will also provide extra support for your beloved pet. The Ortho Bolster Sleeper from K&H Pet Products provides comfort for your dog. The added security of the bolster also helps provide comfort. There is a one year warranty that goes with this bed. The cover is machine washable as well. The bed itself is made from soft velvet and micro fleece. 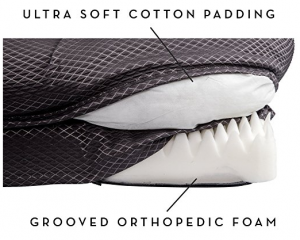 The medical grade orthopedic foam will help support your dog and provide comfort. In total, there are 4 sizes available and 2 colors. 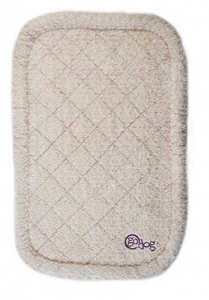 The Orthopedic Memory Foam Dog Bed also provides pressure relieving comfort for your pets. The bolster is shaped like a couch and ensures extra support. 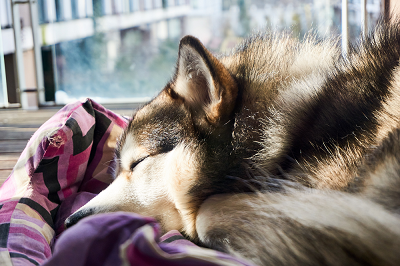 In addition, your dog can rest his or her head on top of the bolster. The cover of the orthopedic dog bed is easily zipped off and can be washed in a washing machine. There are 3 colors available: mocha (see image), tan and blue. 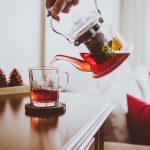 After reading about the best orthopedic dog bed with bolster, we hope you have a better understanding of orthopedic dog beds. All three showcased orthopedic dog beds provide comfort and support for your best friend. What are elevated dog beds used for? 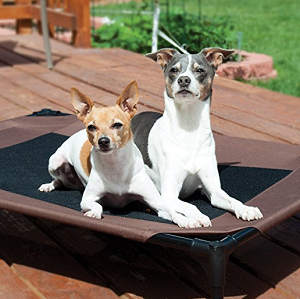 An elevated dog bed is designed to provide a cool, dry and comfortable spot for your dog to rest upon. In addition, an elevated dog bed can be used indoors as well as outdoors. In this article, we will discuss the best elevated dog beds for large dogs, medium dogs, and small dogs. Raised dog beds are also great because they offer joint relief for your pets, as they do not have to lie on hard surfaces anymore. 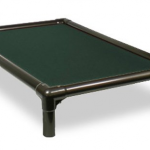 The Raised Dog Bed from K&H Pet Products is available in four sizes: small, medium, large (image) and extra larger. There are also two colors available: chocolate/mesh (image) and gray/mesh. The pet cot hammock can be used indoors and outdoors, and therefore is great for travel. The pet cot will keep your dogs cool during warm summers. 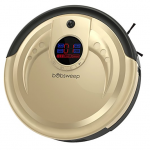 The mesh cover is waterproof and is easily cleaned. The elevated pet bed can hold dogs up to 150 pounds. The Cheap Elevated Pet Bed from Coolaroo is available in three sizes: small, medium and large (image). There are also four colors available: green (image), gray, terracotta, and nutmeg. 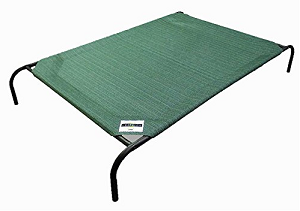 The elevated pet bed is the cheapest elevated dog bed on our list. The fabric from the bed is made from high-density polyethylene, which helps eliminate warmth. The bed is easy to clean as well. In addition, the Coolaroo elevated pet bed is designed to be portable, so it can be easily used as an indoor bed as well as an outdoor bed. After reading about the best elevated dog bed, we hope you have a better understanding of raised dog beds. All three showcased elevated pet beds provide a cool and dry spot for your best friend to rest upon. Use cubic storage shelves to store away your items!